On Center Software serves customers in 65 countries and over 300 academic institutions around the world. 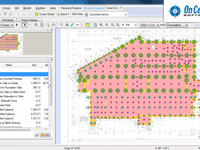 Solutions are intuitive to the needs of both GCs and Subcontractors. PrebuiltML was developed from the ground up with the dealer, builder and framer in mind. From single user to organizations with hundreds of users, PrebuiltML can handle it.